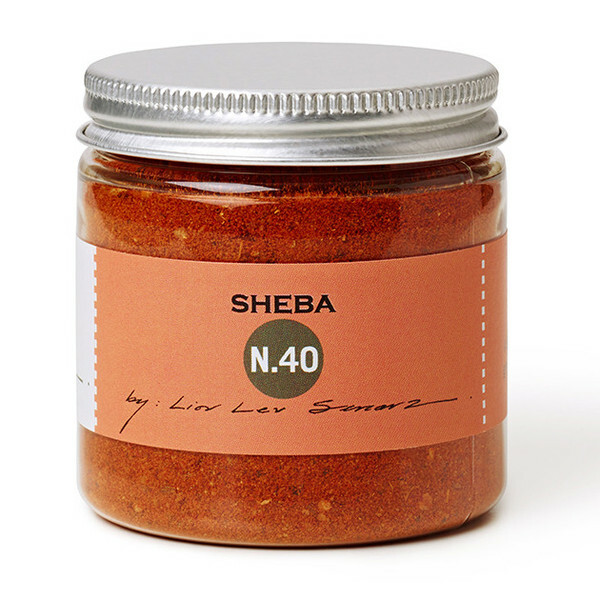 For all of our SandySpice members…Get ready for March’s spice – Sheba N.40 is the interpretation of Ethiopia’s traditional berbere (a blend of nonnative spices, including paprika, ginger and cumin). 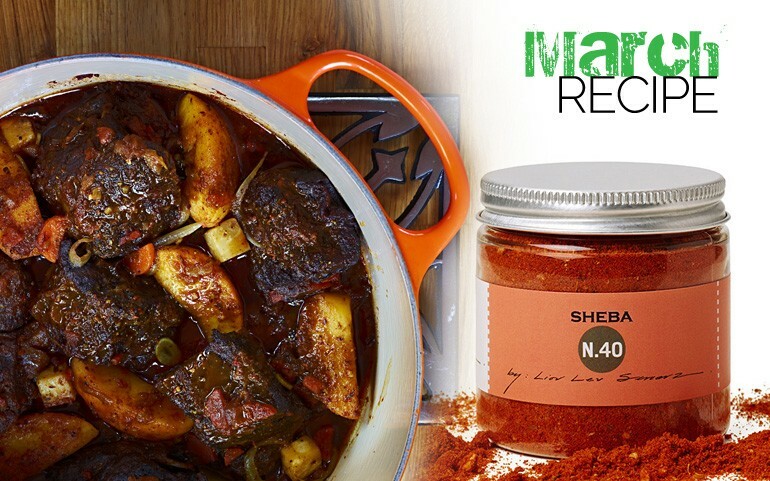 Great for soups, stews and sauces. 5. 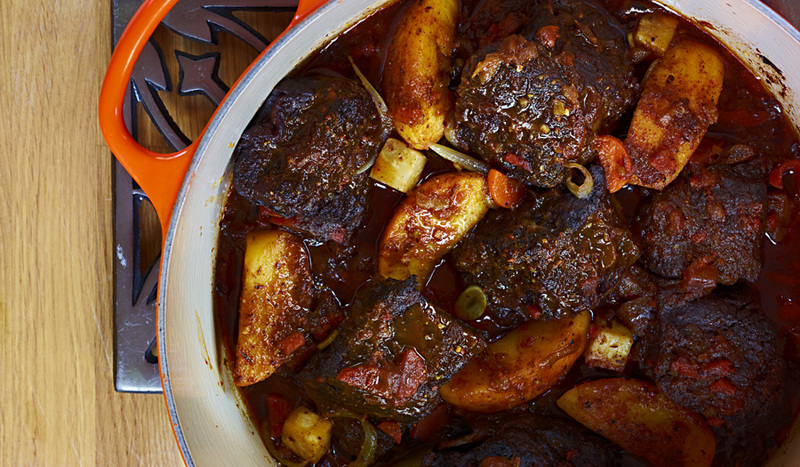 Skim the fair off the surface of the beef braising liquid and increase the oven to 375 F. Add the apples to the ribs and place the pot, uncovered, in the oven. Cook for about 25 to 30 minutes, basting with the cooking liquid every 10 minutes, until the apples are fork tender and the meat is glazed. Garnish with the cilantro leaves and serve.